Michael Fassbender stars in 2016’s Trespass Against Us, a crime-related drama. Colby Cutler (Brendan Gleeson) leads an extended family that lives in a sprawling, isolated compound of trailers. The Cutlers live a ramshackle, unstructured existence supported by various criminal enterprises. When various shenanigans threaten his wife and kids, Chad Cutler rebels against his father Colby and attempts to extricate from the wider clan. This leads to conflicts. While I don’t endorse the notion that movies should only be about likable characters, I do think it becomes tougher to connect to a film in which the ostensible protagonist seems terribly flawed. That becomes an issue here, as the off-putting personality exhibited by Chad makes it more difficult to invest in his story. On one hand, Trespass does set up Chad for redemption, and it demonstrates his potential positives pretty early. The opening scene makes Chad look reckless and foolhardy, but subsequent sequences let us see his desire to break away from the broader clan, especially due to the negative impact Colby and company put on Chad’s kids. However, as the film giveth, it taketh away, for every scene of “progressive Chad” seems to get countered by one with “idiot Chad”. The character’s persistent inability to sustain a personality sans risky behavior means it becomes tougher to see him as much more than a jerk. Trespass does try to balance our view of Chad via the manner in which it illustrates his environment. Because of Colby’s influence, Chad never got a formal education, and Colby’s myriad personality flaws mean Chad never had much of a chance – apple, tree and all that. As such, I should probably respect and admire Chad’s desire to improve his lot and do better for his family, but damn, I find it hard to make that leap. The film depicts so many semi-fatal flaws in Chad that I encounter obstacles when I try to like or care about him. It probably doesn’t help that I get the impression much of Chad’s push away from Colby and the bigger clan comes from the incessant nagging of his wife Kelly (Lindsey Marshal). I always feel that if she didn’t pester him so much, Chad would be perfectly content to continue on his sociopathic path along with Colby and the others. I think the portrayal of the characters offers another double-edged sword. I like the fact that Trespass doesn’t paint the Cutlers as a band of charming outlaws – they’re barely-literate bottom-feeders, essentially, and I respect the absence of romanticism. But once again, this means we’re stuck with 100 minutes of largely unpleasant people about whom we never care. Cripes – even the kids tend to seem unlikable! At no point do I ever invest in these journeys, and I think that runs counter to the filmmakers’ intentions. Even without these issues, Trespass suffers because it takes forever to take us where it wants to go. The story feels padded, as it conveys Chad’s desire to break from the clan early but it requires an awful lot of time to move him there. Again, some of this comes across as realistic, but it doesn’t work dramatically. Chad’s constant flip-flops feel more like they exist to fill out running time, and they make the story move too slowly. All these moments feel redundant and they don’t build the characters past what we figure out early in the tale. The actors do fine, even if they can’t get me to care about their roles. I like the fact that Fassbender and especially Gleeson never attempt to soften their characters, so they never attempt to create endearing personalities that would violate the parts as intended. All of this adds up to a movie I respect in its refusal to turn into a standard “feel good” tale, but not one that I enjoy or that I think achieves other goals. 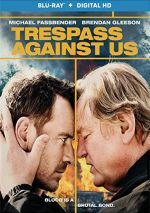 Trespass Against Us offers a tale with characters who fail to adequately engage the viewer, and that becomes a major weakness. Trespass Against Us appears in an aspect ratio of approximately 2.39:1 on this Blu-ray Disc. This turned into a mostly positive presentation. Overall delineation looked fine, as the movie usually seemed well-defined. Some interiors could be a little soft, but not to a substantial degree. I saw no jaggies or shimmering, and both edge haloes and print flaws remained absent. To the surprise of no one, teal dominated the film’s palette, with the occasional splash of orange as well. While predictable, the colors seemed well-executed. Blacks showed good depth, and shadows were fine; some low-light shots could be a smidgen thick, but not terribly so. All this led to a more than competent presentation. Similar thoughts accompanied the fairly good DTS-HD MA 5.1 soundtrack of Trespass. The character’s various criminal enterprises led to the most active use of the soundscape, especially via the movement of cars around the spectrum. A sequence with a police helicopter also added breadth, and a smattering of violent episodes contributed gunfire and mayhem to flesh out the mix as well. Still, this wasn’t exactly an action-packed mix, so one shouldn’t expect constant auditory shenanigans. When appropriate, the soundscape kicked to life well, but much of it focused on ambient information and music. Audio quality worked fine. Due to accents and slang, dialogue could occasionally be tough to understand, but the recordings themselves were fine; the lines seemed natural and concise. Music offered good range and impact, and effects followed suit. Thoese elements contributed fine dimensionality, with strong low-end at appropriate times. All of this led to a worthwhile soundtrack. Two featurettes show up here. Blood Bonds runs 21 minutes, 54 seconds and provides notes from director Adam Smith, producer Andrea Calderwood, writer/producer Alastair Siddons, and actors Michael Fassbender, Brendan Gleeson, Lyndsey Marshal, Kacie Anderson, Georgie Smith, and Rory Kinnear. The show looks at the script and its path to the screen, characters and story, cast and performances, cinematography and stunts, and general thoughts. A few decent insights emerge, but much of the program exists as promotion, so don’t expect much depth. Heartfelt lasts four minutes, 47 seconds and features Smith. 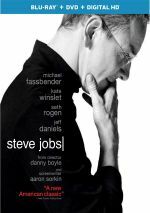 He discusses the movie’s score and the work of the Chemical Brothers. This becomes a brief but moderately informative piece. The disc opens with ads for Free Fire, Moonlight, The Blackcoat’s Daughter, The Monster and American Honey. No trailer for Trespass appears here. At times, the strong actors involved in Trespass Against Us help carry it, but the story lacks enough forward momentum to create investment in the viewer. In particular, the characters seem too reprehensible to give the audience much reason to care about their journeys. The Blu-ray offers pretty good picture and audio as well as minor supplements. Despite its potential, Trespass disappoints.